Citibank N.A. Bangladesh is a part of Asia Pacific region of renowned Citigroup. In the analysis of organizational part on this bank, it has been seen that the company is in growing very fast. Though it is a comparatively new foreign bank in Bangladesh, it has managed to cater many big corporate clients. The main focus of the bank is on Corporate Banking, Banking with other Financial Institutes and Cash Management. The prospect of e-Banking has been explored by conducting survey on both individuals and organizations. The research shows that majority of the respondents has internet access and have to go to the bank frequently. In order to save cost and time majority of the respondents perceive the e-banking service more convenient than traditional banking. They are willing to accept the service warmly because of the cost saving and efficiency features. But most of the people perceive the installation procedure and using the service as very complex and difficult. Though the overall prospect for e-banking is found out to be positive and attractive, the bankers need to take many steps to make the service popular. They need to organize training session for the prospective customers, promote the idea of e-banking massively, provide customized service to valued customers and provide one stop solution package and all time help line for solving problems using the service. itigroup is a renowned global financial service company with some 200 million customer accounts in 104 countries across six continents. It is the first financial service company to bring together banking, insurance and investments under the same name. It provides consumers, corporations, governments and institutions with a broad range of financial products and services, including consumer banking and credit, corporate and investment banking, insurance, security brokerage and asset management. BBC has declared it the largest profit making company of year 2002. Citigroup ranked the world’s 10th most respected companies has the most diverse array of products and the greatest distribution capacity of any financial firm in the world. The asset base of the group and net profit of 2002 were US$ 1.1 Trillion and US$ 15.2 Billion respectively. Globally there were 270,000 employees in2002. Citibank was formerly (1967-74) known as the First National City Corporation, American Holding Company incorporated in 1967, with the City Bank of New York, National Association (a bank tracing to 1812), as its principal subsidiary. The latter’s name changed successively to First National city Bank in 1968 and to Citibank, N.A. (i.e., National Association), in 1976. Citicorp was holding company’s popular and trade name from its inception but became the legal name only in 1974. In 1811 the U.S Congress refused to renew the charter of the First Bank of the United States, the countries central bank, which had branches in such cities as New York. Thus on June 16, 1812, some of the First Bank’s New York shareholders and other investor’s secured state incorporation of the City Bank of New York, which was later established in the branch banking rooms of the old First Bank. The bank grew as New York City became the nation’s commercial and financial capital, and in 1865 it was chartered under the National Bank Act and renamed the National City Bank of New York. In 1897 it became the first large American Bank to open a foreign department, and in 1915 it became America’s Leading international bank upon the purchase of International Banking Corporation (founded 1902), which had overseas offices in 13 countries and territories. Other mergers and acquisitions in the United States and overseas expanded the bank. Notably, in 1931 it acquired the Bank of America, N. A. (another descendant of the First Bank of the United States and no relation to the California-based bank), and in 1955 it merged with the First national Bank of the City of New York (founded 1863). Upon the latter merger, the consolidated company took the name of First National City Bank of New York. In 1967 the holding company Citicorp was created to hold the stock of the First National City bank of new York- renamed City Bank of New York- and to hold the stock of the subsidiaries to be newly acquired or split off from the bank, such as a finance company, a traveler’s check company, and other related financial operations. The holding company setup improved the company’s long-range conglomerating possibilities. In the late 1970’s Citicorp pioneered the installation of a network of automated teller machines throughout its branch offices. The company secured an important share of the American credit card business by purchasing Carte Blanche Corporation in 1978 and Diners Club Inc., in 1981. In 1982 and 1983 Citicorp made three major acquisitions- fidelity savings and Loans Association of San Francisco, First Federal Savings and Loan of Chicago, and new Biscayne Savings and Loan Association of Florida- which increased its assets by more than $8,500,000,000 and expanded its interstate banking operations significantly. By the late 20th century Citicorp was the largest American Bank and one of the largest financial companies in the world, with about 3,000 branch offices worldwide. The merger of Citicorp and the Travelers Group – creating Citigroup- combined for the first time in the U.S. a major banking organization and an insurance company. The merger took place in 1998 in response to the global financial crisis and intense efforts to prepare for the introduction of the European Union common currency (the euro) and industry wide consolidation both within and across national borders in order to reshape the financial services landscape. Before the merger took place in 1998 Citicorp had a number of organizations under it, of which Citibank constituted of 90% of the business. Owing to a banking rule that not more than 10% of deposits can be invested in Equity, Citibank was restricted in such ventures. 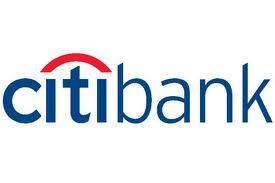 Citibank Investment Ltd. was there for equity investments. Other than these, the group also included some other organizations: Citibank Overseas Software limited, I-flex that served other than Citibank units, Citibanking Corporation etc. The Citicorp-Travelers merger included one of the largest American investment banks, Salomon Smith Barney Inc.
Citicorp is the parent company of Citibank, which serves consumer and corporate customers in over 100 countries around the world. Its Global Consumer Business is the world’s largest issuer of credit cards with 60million bank cards and provides financial services through more than a thousand Citibank branches in over 40 countries. Through its international network of offices, Citibank also provides funding and transaction services for global corporations and local growth companies in emerging markets. The merged company is named: Citigroup Inc. and its uses the trademark Travelers red Umbrella as its logo. The principal thrusts of the company are in traditional banking, consumer finance, credit cards, investment banking, securities brokerage and asset management, and property casualty and life insurance. The combined company serves over 100million customers in 104 countries around the world. Citigroup is composed of four discrete business divisions- Citigroup Corporate and Investment Bank, Global Investment Management and Private Banking Group, Consumer Group and Emerging Markets. Citibank has presence in more that 104 countries worldwide. It delivers a wide array of banking, lending and investment services to individual consumers, as well as to small businesses with up to $10 million in annual sales. Citibank offers a full range of financial services products to serve the needs of small and large corporations, governments, and institutional and individual investors. The Financial Center Network of Citibank is wide and comprises of local offices complemented by electronic delivery systems, including ATMs and the World Wide Web. Specific products and services include basic banking accounts, investment services through Citicorp Investment Services, CitiTerm® life insurance, CitiPhone® banking, and Citigold® accounts, which integrate banking, borrowing, and investing services. Client Financial Analysts are available in our Financial Centers and trained to use Citipro® and CitiBusiness® Solutions Review – financial needs analysis tools that enable Citibank to bring tailored solutions to every customer. These tools allow our analysts to assess customer needs and diagnose their financial situations. Travelers are a leading provider of a full range of insurance products and services. Through Travelers, Citigroup has become the principal source of homeowners and auto insurance for consumers with more than 5.3 million policies in force. Travelers Commercial Lines offer a broad range of insurance for commercial markets, including workers compensation integrated disability, property, liability, specialty lines, surety bonds, inland/ocean marine, and boiler and machinery. Salomon Smith Barney counts among its client base affluent individual investors, small-to-mid-sized businesses, as well as large corporations, non-profit organizations and family foundations. Through its team of more than 12,000 Financial Consultants in more than 500 offices, the firm services more than 7.1 million client accounts representing nearly $1 trillion in client assets. It is also one of the nation’s leading providers of defined benefit and defined contribution plans, as well as corporate stock plan services and administration. With more than 100,000 full and part-time representatives, Primerica is the largest financial services marketing organization in North America. Primerica offers consumers an array of financial services and products, including term life insurance underwritten by Primerica Life. The company also markets other Citigroup Products, including Smith Barney Mutual Funds, Travelers Insurance Company annuities, and CitiFinancial loans and mortgages. The Consumer Group businesses comprise the financial service sector’s most diverse consumer product offerings — banking services, credit cards, loans and insurance. Citibanking: Banking, lending and investment services to individual consumers, as well as small businesses with up to $10 million in annual sales. Cards: Credit and charge cards such as MasterCard®, VISA®, and private label. CitiFinancial: Consumer finance and community-based lending services across North America, Europe and Japan. Travelers Property Casualty : Commercial and personal property and casualty insurance products — along with coverage for special circumstances such as umbrella liability, personal articles, boats and floods — for businesses, government units, associations and individuals. Diners Club: Worldwide Diner Club cards are issued in more than 60 currencies and accepted in more than 200 countries. Diner Club acquires new card members via direct sales on the corporate card side, and via Internet and direct marketing on the personal card side. e-Consumer: e-Consumer offers a comprehensive suite of consumer financial products and services available and accessible anywhere, on any device, at any time, in a secure and private manner. It extends the reach of Citigroup’s products and services to new customers via the internet. Citigroup’s Corporate & Investment Bank has emerged as the premier organization for meeting all the financial services needs of corporations, governments, and institutional and individual investors around the globe. Under this segment, corporate clients use the investment banking services, including M&A advisory, debt and equity capital rising, and commercial banking services such as lending, treasury services and foreign exchange. Also, top-ranked trading capabilities are offered for institutional clients. The Global Relationship Bank’s mission is to serve global customers around the world. GRB has a focused target market that deals with Corporations that have revenue of $1B or more with growing international sales. Additionally GRB targets financial institutions in the Organization for Economic Cooperation and Development (OECD) that are large public, private and government owned operations that are growing in cross border capital needs and trade flows. Global Relationship Banking (GRB) in the OECD Countries, Global corporate Banking has a specific target audience of around 1800 clients. Emerging Local Corporate (ELC) offers emerging local corporate companies a range of banking services that include loans, cash management and international trade finance. ELC includes 6000 clients. CitiCapital This includes truck, construction, material handling, healthcare and office equipment finance, as well as franchise and municipal finance. Citigroup Asset Management provides investment management and related services to a broad spectrum of clients around the world, from beginning investors to wealthy individuals to large institutions, both public and private. It has one of the most impressive research teams on Wall Street and some of the most well known brands in money management- Smith Barney, Salomon Brothers and Citibank. With offices in 59cities around the world, it is one of the world’s most global private banks. Citigroup Asset Management includes Smith Barney Asset Management, Salomon Brothers Asset management, and Citibank Asset Management along with the pension administration business of Global Retirement Services. It was formerly known as the SSB Citi Asset Management Group and Global Retirement services. These businesses offer a broad range of asset management products and services from global investment centers around the world, including mutual funds, closed end funds, managed accounts, unit investment trusts, variable pension administration, personalized wealth management services catering to the need of every class of investor. CitiInsurance is Citigroup’s international insurance business, which currently distributes insurance products in 43 countries and manufactures insurance six countries. CitiInsurance focuses on life and retirement-related products, including variable and fixed annuities and other unit-linked products; an array of credit related products, including personal accident and health; term, whole and endowed life insurance. In many countries, Citigroup also distributes property and casualty products. The Citigroup Private Bank provides personalized wealth management services for affluent clients through more than 90 offices in 31 countries and territories. Clients include many of the World’s most influential entrepreneurs, families, and senior corporate executives. The Private Bank provides trust services, structured lending and banking, Foreign exchange, equity derivatives and private equity. Global Retirement Services (GRS) provides pension and retirement that includes defined benefit, defined contribution and health and welfare services to large and small businesses and organizations worldwide. The Institution is specialized in life insurance and individual and group annuity products that address the asset protection, retirement planning, corporate owned life insurance and estate preservation needs of the customers. Travelers Life and Annuity offers individual annuity, group annuity, individual life insurance, and COLI. The individual products include fixed and variable deferred annuities, payout annuities and term and universal life insurance. Citigroup, principally through Citibank, provides financial services throughout the world – this includes 80 emerging market countries in Asia, Latin America, Central and Eastern Europe, the Middle East and Africa. Bangladesh belongs under the Asia Pacific region. The Emerging Markets (EM) brings together both consumer and corporate businesses, delivering a full range of banking services to corporations, financial institutions, the public sector, and individual customers. The customers are offered personal service and the advantages of a local bank, while the global platform continuously introduces a stream of new and innovative products quickly and more cost-effectively than the competitors. The EM has more than 90,000 employees around the world, providing services to 32 million customers and 10million pension fund participants. Worldwide Securities Services (WWSS) is a global leader in cross-border transaction services for leading investors and issuers. With a leadership position in virtually every market served, WWSS offers clients a full spectrum of custody, trust and safekeeping services. Citibank e-Business provides solutions that empower corporations and financial institutions globally to connect to the Web, transform their business using Internet-related technologies and extend their reach to new markets.